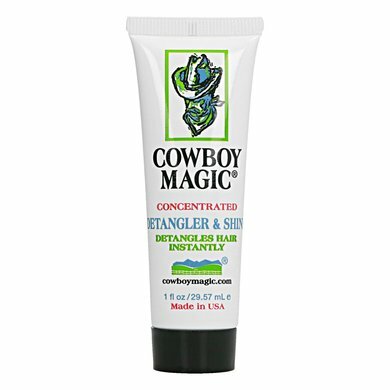 With Detangler & Shine from Cowboy Magic knots, tangles and dreadlocks disappear like snow in the sun, even in the most unruly hair. The silk proteins in Detangler & Shine ensure that the treated hair shines radiantly after combing. The product offers pure care, does not contain water or alcohol and does not dry out the hair. 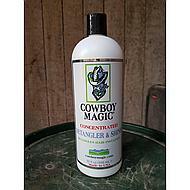 Dirt, dust and sand have no more grip on hair that has been treated with Detangler & Shine. This keeps the shine longer. The hair does not feel greasy. 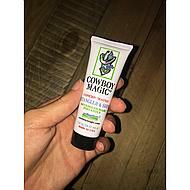 The product penetrates below the skin surface and works both moisturizing and strengthening. The result? A natural shine and a soft texture. 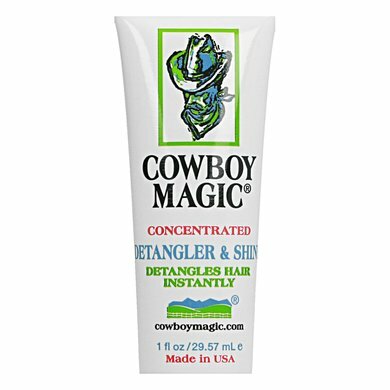 Detangler & Shine is a high quality care product that is also suitable for people. Keep out of the reach of children, unless under the supervision of an adult. Flammable, keep away from open fire. Very nice stuff! The mane and tail can be quickly buried, become soft and shiny. 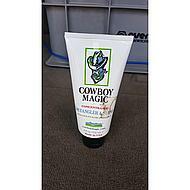 With this product, the tail and mane remain shiny and burst for days. 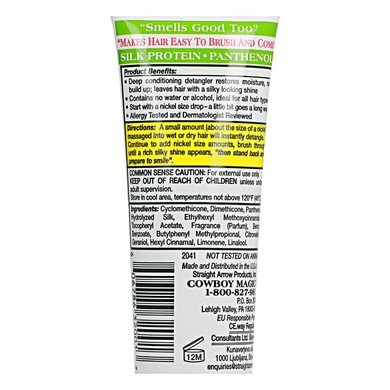 Best way to keep the mane and tail free of knots! Decouples well and requires little product. Use this only once a week and this is sufficient. Question: this product is mixed with water and then you spray it if you want to use it for a dog coat? Answer: You put a few drops of this product on your hands (without water) and then you go through the fur of your dog with your hands. The coat of your dog will then become softer and smoother and any tangles will be easier to brush out. Question: When this is used on a dog, should you apply it to a dry or wet coat? Should this possibly also be rinsed out? Answer: The detangler & shine can best be applied to dry hair. You do not need to rinse this remedy. 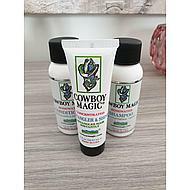 If you want to apply something to a wet coat, you can work with the Cowboy Magic Bodyshine. Question: If the hair is fat, I can use it in my dog ​​hair salon. 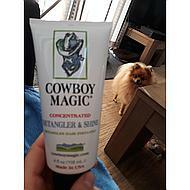 Answer: The hair is not fat and the Cowboy Magic detangler & shine is increasingly used for dogs. 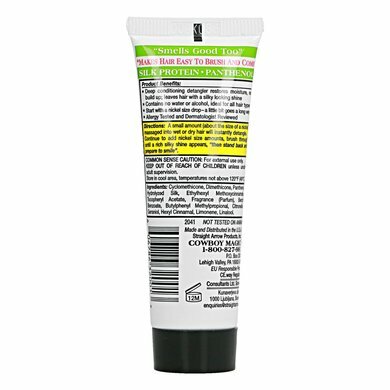 Question: Hello, I would like to know how long this product is about sustainable. Regards, Janine.